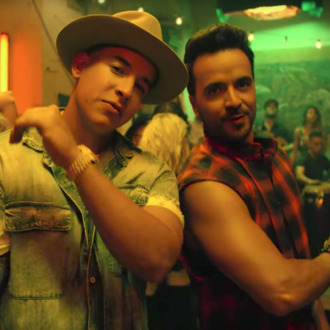 Luis Fonsi and Daddy Yankee’s “Despacito” has broken the record for YouTube’s most popular video ever and it hasn’t even been in this world for a year. As of Friday, the video for the original version of “Despacito,” which came out in January, has amassed over 2,995,361,447 views at time of publication, putting it above Wiz Khalifa and Charlie Puth’s “See You Again” for the most-viewed video in YouTube history. “See You Again” only just dethroned Psy’s “Gangnam Style” for the title last month. (Sorry, Puth.) As “Despacito” continues its dominance (it’s on the way to breaking another very important record), its megapopular Justin Bieber remix still doesn’t even have a video, and it now seems pointless to make one. For some perspective on this juggernaut: “Gangnam Style” also became the most-viewed video in less than a year (four months), but it only had to reach 808 million views back in 2012 to get there, and it then became the first video to hit a billion views by the end of that year. “See You Again,” however, took over two years to break “Gangnam Style’s” record (by 2017, it needed over 2.9 billion views). To put it another way, “Despacito” has more than doubled “Gangnam Style’s” original record-setting view count in just about the same amount of time. “Despacito” also became the most-streamed song ever just last month.